A slender slip of an island off the coast of Trang province, Ko Kradan boasts a magnificent coral-sand beach stretching between fluffy green hills and the aquamarine Andaman Sea. Also home to some good snorkeling and low-tide sandbars that make for the beach walk of a lifetime, Kradan places among Thailand’s more visually spectacular islands. With some advanced planning, anyone from solo gap-year backpackers to groups of old friends to honeymooning couples and flashpacking families can enjoy a quiet getaway in a sublime setting on Kradan. Though you won’t find fishing villages like on neighbouring Ko Muk, a few of the eccentric resort owners give the otherwise uninhabited island some character. The long but narrow beach (voted the ninth best beach in the world by Guardian readers in 2016) has powdery white sand and breathtaking views to Ko Ngai, Ko Muk, Ko Libong, the mainland, a number of karst islets and even Ko Lao Liang and Ko Phetra on a clear day. Daytrippers unload from around 10:00 to 14:00, but once they depart you’ll hear only gentle waves, the hum of longtail boats and the laughs of children playing with the beach dogs. If you’re dreaming of a postcard-worthy tropical island paradise, you’ll find it here. The swimming is excellent at any time to the south, where the finest stretch of sand fronts a Hat Chao Mai National Park campground and Anantara Beach Club. To the north, at low tide you can stroll on sandbars amid crystalline water as sea eagles plunge for minnows. The shallows stretch so far out that it can feel like you’ve walked halfway to Ko Muk. Though many visitors are content with a book and a hammock, Kradan is also a fine option for snorkeling right off the shore. Located just south of the national park station, the vast South Reef and harder-to-reach Ko Kradan North both have their share of marine life, even if the coral is banged up and dormant. Most resorts and the national park rent out snorkels for 100 baht. For between 600 and 1,500 baht, longtails will whisk you off to the islets of Ko Waen and Ko Chueak for more snorkeling, perhaps with a stop at Ko Muk’s wondrous Emerald Cave. Further west and reachable for 4,000 baht (per boat, not per person), Ko Rok’s bubble coral garden and divine beaches beckon. Based at Seven Seas Resort, Pro Scuba Diving runs day trips to Hin Daeng, Ko Haa and other worthwhile locales in nearby marine parks. One way to ensure that you can dive right off Kradan is to take part in the underwater wedding ceremonies held annually around Valentine’s Day. If wearing an oxygen mask for that first “kiss” as a married couple sounds utterly romantic to you, contact the organisers at www.underwaterwedding.com. While a few places still offer backpacker-range beds, Kradan is generally an expensive and highly seasonal destination. All but a couple of the resorts close for the May to October rainy season. Unless you’re fine with a tent or dorm, advance reservations are recommended at any time from December to March. Measuring in at just 240 square hectares and located 10 kilometres off Trang province’s coastline, Kradan is a tiny island with no roads, villages, ATMs, convenience stores, police stations or medical clinics. Some 90% of the terrain is protected under Hat Chao Mai National Park, which has a small station towards the south end of the beach with a campground and basic rooms. We were told it’s impossible for any more resorts to be built on Kradan. In recent years, the main beach’s rockier and thinner northern stretch has filled in with small flashpacker to midrange resorts, including several with Italian management. The swanky Seven Seas and lacklustre Kradan Beach Resort combine to occupy a lengthy central part of the beach. Marked by a sign towards the beach’s southern end, a sandy track begins just south of Kradan Beach Resort and runs 400 metres inland to Paradise Lost. Here the trail continues west to the small and undeveloped Sunset Beach. Beginning behind Paradise Lost’s biggest bungalows, another path cuts south to secluded Ao Nieang, which is the only true old-style bungalow spot left on Kradan and can also be reached along the shore at low tide. Each resort has its own generator and some shut down during the daytime. Thai provider cell phones work fine on the main beach but the service gets patchier at Sunset Beach and Ao Nieang. WiFi is free at most resorts, but don’t expect blazing download speeds. 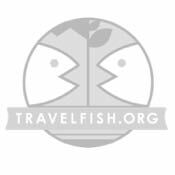 Please sign up as a Travelfish member to download the Ko Kradan guide PDF (4.3 MB, 21 pages). Membership costs just A$35 per year (less than A$1 per week) and gives you access to over 250 PDF guides. Last updated on 6th March, 2017. Browse our independent reviews of places to stay in and around Ko Kradan. Read up on where to eat on Ko Kradan. Read up on how to get to Ko Kradan, or book your transport online with 12Go Asia. Planning on riding a scooter in Ko Kradan? Please read this.  Use the above map to find specific destinations in and around Ko Kradan which are listed on Travelfish. Bed icons indicate a guesthouse, hostel or hotel, the knife and fork is an eatery or bar and the four-way circular thingy marks sights, attractions and other points of interest. Click on any icon for a short pop-up and a direct link to the page for that spot. If you are in the area, use the teardrop icon near the top left to show your position on the map (you'll need to allow position sharing for this last feature to work).